Siberian cities are cloaked in smoke from raging wildfires whipped up by winds. 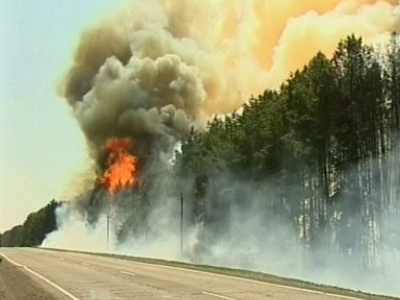 The blazes are raging in five regions, covering an area over 22,200 acres (90 square kilometers). ­The situation is hampered by extreme temperatures. And though all flights in the regional city of Omsk have been grounded by the blaze, firefighters say it poses no threat to populated areas or industry. Thick smoke is holding back containment work and is preventing the emergency planes and helicopters from reaching the worst-hit areas. Some 3,000 people, 412 units of fire-fighting equipment and 24 aircraft have been mobilized to fight the blazes. Around 34 wildfires have been identified. Weather forecasters say hot and dry weather with temperatures of up to 35 degrees Celsius will remain until at least August 5. 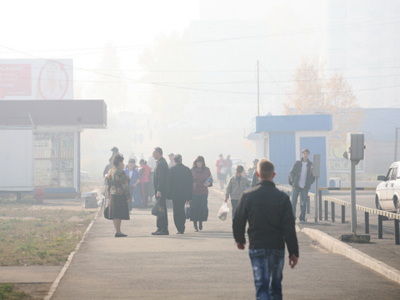 Earlier authorities were forced to close two airports in the cities of Tomsk and Omsk, due to heavy smoke and poor visibility. 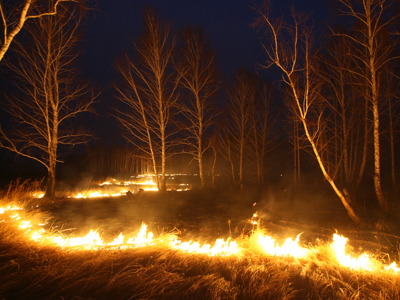 ­And while the local authorities claim they have the situation under their control, Greenpeace ecologists are convinced that though summer fires have become commonplace in Russia’s Siberia and Far East, this year it is a real catastrophe. ‘If the situation is going to develop like it is doing right now, this year will see a record large area affected by fires,” Greenpeace activist in Russia Maksim Yaroshenko told Radio Svoboda (Russian Branch of Radio Free Europe). His colleague Grigory Kuksin also is convinced that people are unable to deal with the blaze and only rain could possibly extinguish the fire, even though all of the emergency workers are called in. 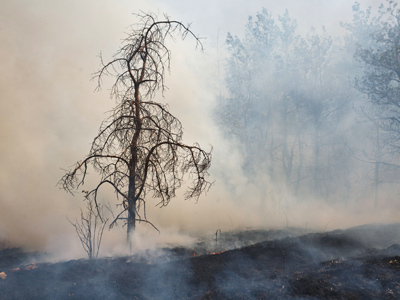 ­The ecologists believe the reasons for the catastrophe lie in the country’s inability to fight wildfires due to calamitous changes in legislation. Forest management has become gravely dilapidated since 2000, when the Federal Forestry Service was liquidated. 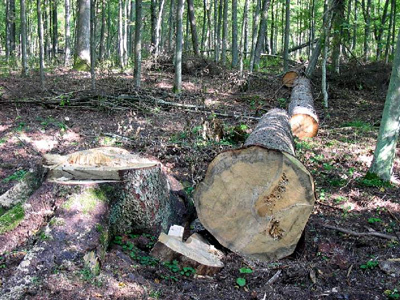 A new and highly ineffective Forestry Code introduced in 2006 appeared to be the last straw. It abolished centralized state forest control, distributing its functions among regional authorities. The latter, as a rule, are unable – or unwilling – to allocate enough finance to forestry protection and monitoring. From 2006 to 2010, the number of forestry employees shrank by half. Now it is unclear who bears responsibility for prevention and battling wildfires.